Evening! Ok this post is a week late. Sorry! I've bee busy. Damn life getting in the way!!! 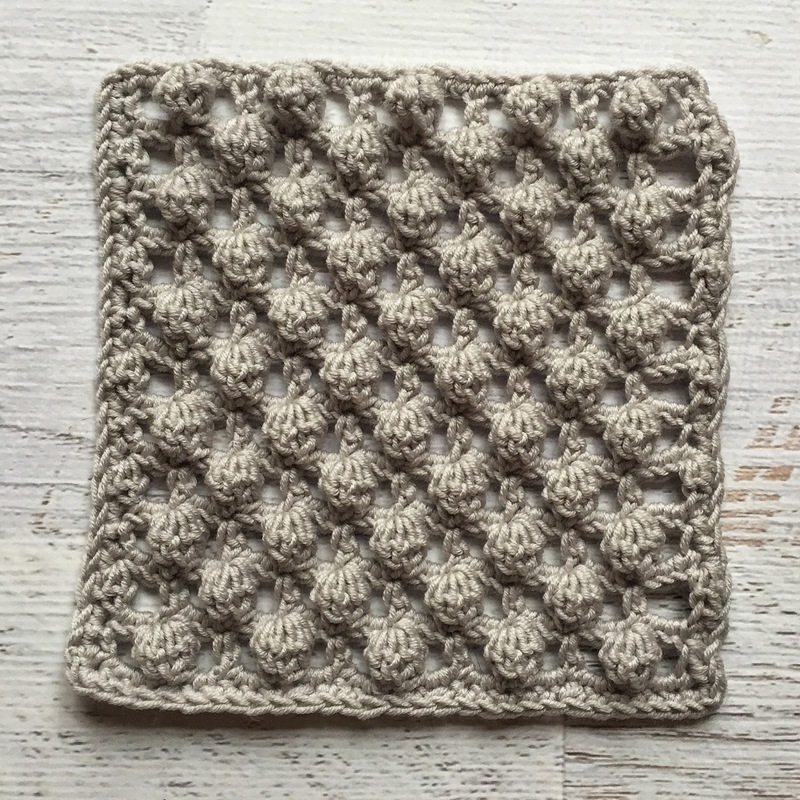 So this week's square has been designed by the lovely, funny and super talented Annelies from Vicarno. 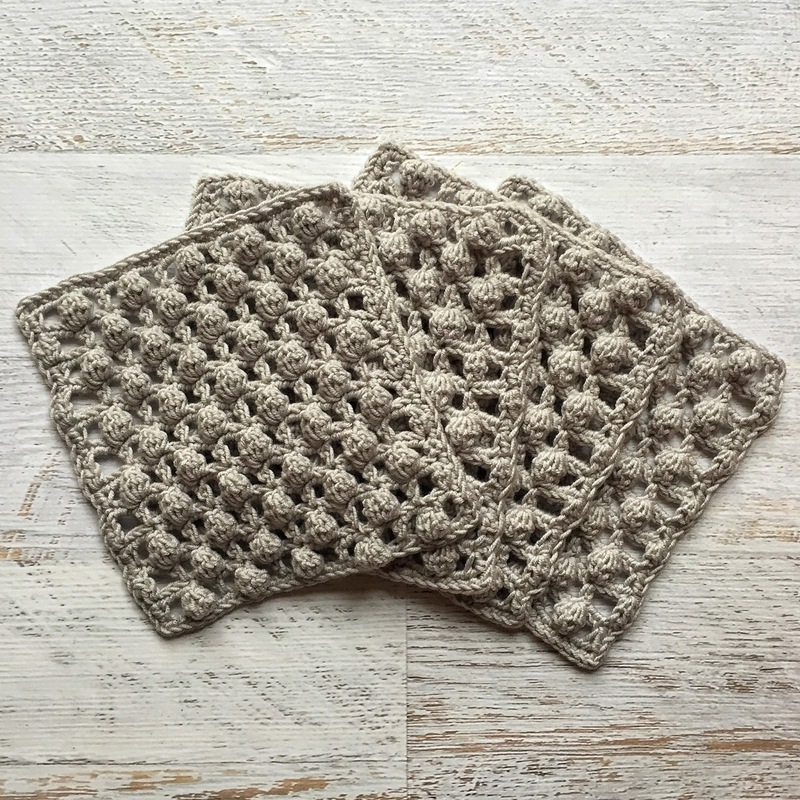 Her blog is a delight and crammed full of stunning designs! 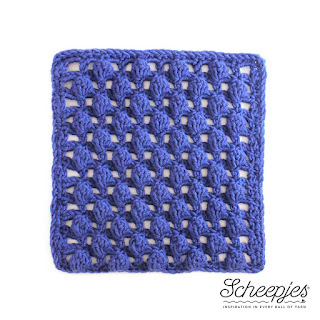 You can read about the inspiration for her square design here. It's a lovely design! Bobbles made in a slightly different way. 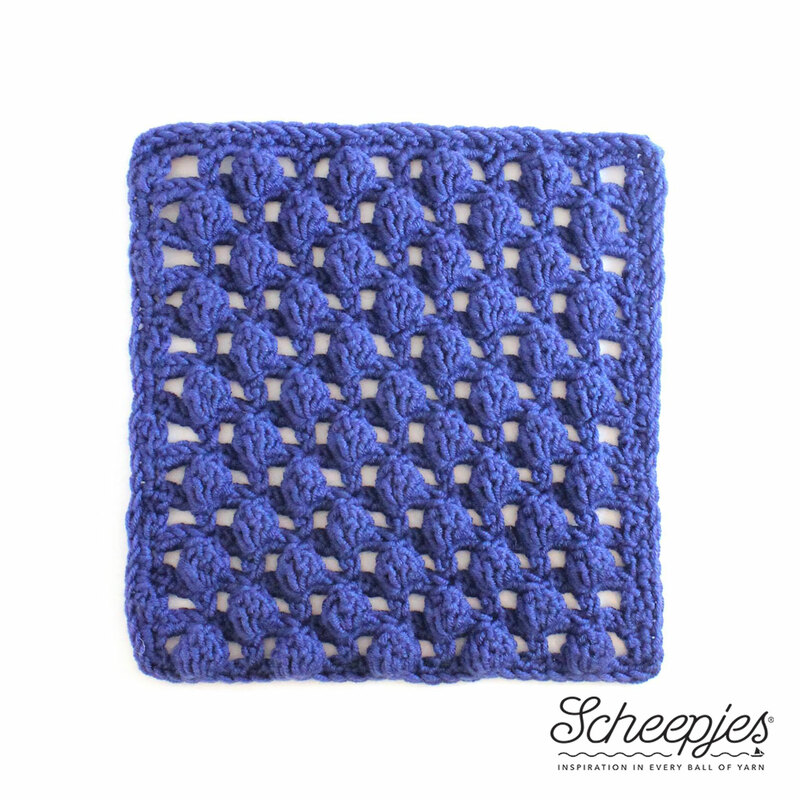 For this square I used a 4.5mm hook with Scheepjes Merino Soft. I love the texture! It's a lovely rhythmic square to make that I whizzed through very quickly. 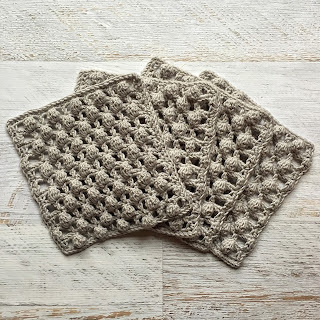 4 beautifully squishy merino soft squares!!! 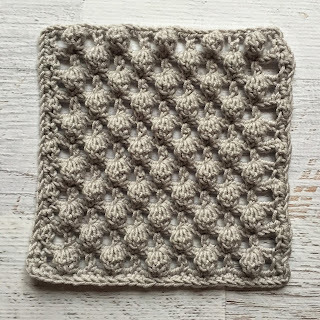 So now we have only 1 square design left!